Inspecting property and equipment at high levels above ground can be an expensive business involving scaffolding, cherry pickers and more. 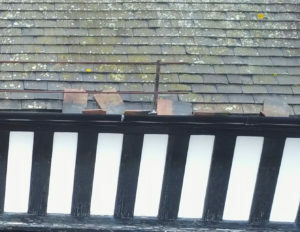 Roof inspections are notoriously disruptive often with more damage resulting from disturbing fragile structures such as slate tiling or corrugated roofing sheets. Using our advanced aerial platforms with no physical contact with the structure we can stream real-time images to the ground-based monitors, home in on areas of interest and capture HD images and video that can be examined in detail later. Only then if issues needing remediation are identified is expensive access equipment and working at height needed. The images become a photographic record enabling; off-site inspection by surveyors / architects, competitive tendering for the work and post contract inspection for snagging. 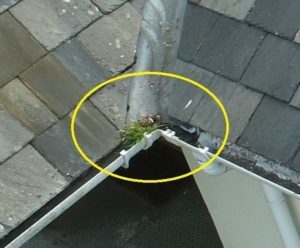 Where degradation of the structure is progressive over time, then periodic aerial inspection can measure that progression knowing that the degradation is not a result of the inspections themselves e.g. broken tiles as a result of people clambering over ladders on roofs or worse still with no ladders at all! A few words from some of our clients…. "Pleasure to have a professional company working with us to develop and bring a new aspect to our events giving a bird's eye view of the event and venue." 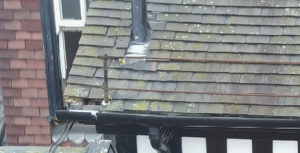 "Customers contact us and say they have seen the video on our website and must come to us for a break with their horses..."
"Now for the first time we can see the roof issues and decide whether to take remedial action or monitor the situation without having to erect scaffolding or disturb the tiles!" "Thank you so much for doing the spectacular video of our house - we have fallen in love with it again!" "Paul was very quick to respond and was able to provide a very competitive quote for exactly what we wanted. Paul spent time understanding our requirements and worked efficiently and safely on site. The finished images and video are fantastic, overall an excellent service!!" "Delighted with the filming and photography service provided by Aspire Aerial Media, and would not hesitate to recommend. The photographs came out very well and and the video was fabulous. Thank you." "Paul, if ever we need another aerial photo in your area, we’ll be sure to get you involved!
" Thoroughly professional in both the admin of the quotation / confirmation / billing, etc, and in the technical and practical provision of roof-top survey by drone. Arrived even a little ahead of the appointed time, did the job, showed me the results to ensure I had what I needed, and left me with a USB containing the photographic results, all for a very reasonable price. What's more, a really nice bloke to meet and work with! Totally recommended: thanks for your help, Paul. " Aspire Aerial Media operates under a Civil Aviation Authority Permission for Commercial Operations and is fully insured to £5m as required for an operator undertaking commercial UAV work. Our permission allows us to work across the UK including work in congested areas such as cities, towns and villages.